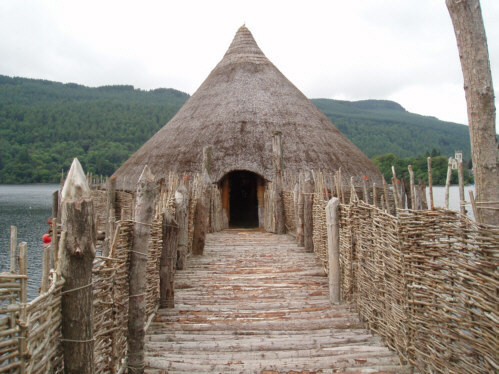 This is a picture of a Scottish Crannog or ancient dwelling house. A crannog is quite simply a type of ancient (loch) dwelling house found throughout Scotland and Ireland dating from 5,000 years ago. The crannogs were built out in the water for its defensive properties and often represented symbols of power and wealth.